After biologists had returned wolves to the Yellowstone ecosystem, Chad McKittrick was out bear hunting in Montana when he saw a large animal 140 yards away. He said to his companion, “That’s a wolf. I’m going to shoot it,” and he focused the scope on his Ruger M77 7mm magnum rifle, and fired. McKittrick approached the now-dead wolf and then saw that it wore a radio collar clearly marked Yellowstone National Park. He cut the animal’s head off, but left the paws. His friend, Dusty Steinmasel, used a special wrench to remove the collar, later throwing it into a creek where it continued to send a rapid series of beeps to wolf biologists, signaling that the wolf was dead. Investigators soon found the collar, and Steinmasel provided a written confession and enough evidence for a search warrant. McKittrick, however, claimed he thought he was shooting at a feral dog. If so, why had he kept the head and hide? “Even in Montana they rarely mount dogs as game trophies,” author Renee Askins, who chronicles this event in her book, Shadow Mountain, wryly commented. In 1996, a jury of eight men and four women convicted McKittrick of three misdemeanor counts — killing an endangered species, possessing it, and transporting it. His sentence included three months in jail, three months in a halfway house, and $10,000 in restitution. At his trial, he testified that he thought the animal he killed was a rabid dog, and using this “mistaken identity” argument, he appealed to the U.S. Supreme Court. McKittrick lost there, but then later won, after the Department of Justice backpedaled on its policy, as if in a rowboat approaching a waterfall. The Justice Department named its new legal position the McKittrick Policy, giving lasting fame to the man who pulled a trigger on a Yellowstone wolf. The policy basically states that U.S. attorneys will prosecute someone accused of killing an Endangered Species Act-protected species only when they can prove that the killer specifically intended to kill an endangered species. The result: Wolves are sometimes shot by hunters who claim they were shooting coyotes — even though coyotes rarely wear radio collars. The impacts of the McKittrick Policy continue to reverberate across the country. “Suspects in the killing of some of the nation’s most imperiled animals are escaping prosecution under the federal Endangered Species Act because of a Justice Department policy that some federal wildlife officials call a significant loophole in the law,” said reporter Deborah Schoch in the Los Angeles Times. She explained, “When the (McKittrick) case reached the U.S. Supreme Court, Justice Department lawyers re-examined the issue. They decided that the jury instructions prosecutors had argued for were wrong. 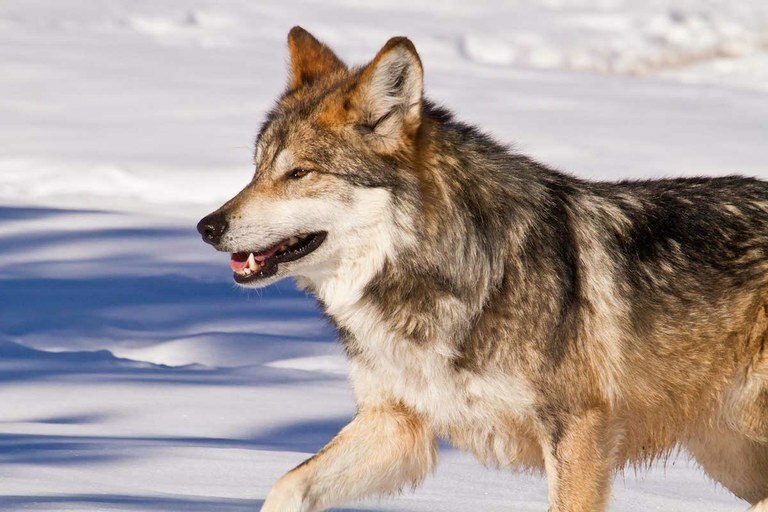 … They decided a person could not be convicted of ‘knowingly’ killing an endangered animal unless prosecutors could prove that the person actually knew what kind of animal he or she had shot.” That’s bad news for many endangered species — and especially for wolves. So, President Obama, before you leave office, eliminate the McKittrick Policy and let endangered species thrive. Even if the next administration tries to overturn your decision, you will have done the right thing.